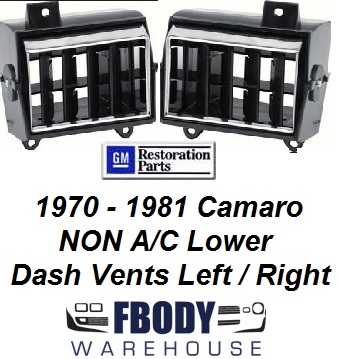 The 1974 - 1975 - 1976 - 1977 Camaro heater and air conditioning vents and controls are a snap. 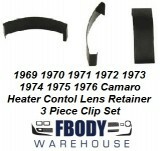 We offer everything from hose kits to make the air flow right once more to the controls, lens, and bases for the dash mounted controls. 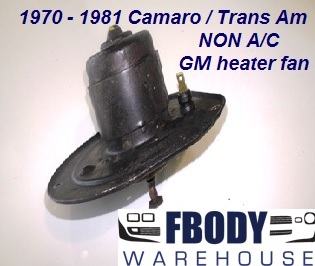 1977 - 1981 Camaro Heater Control BASE NEW For A/C & NON A/C Cars! 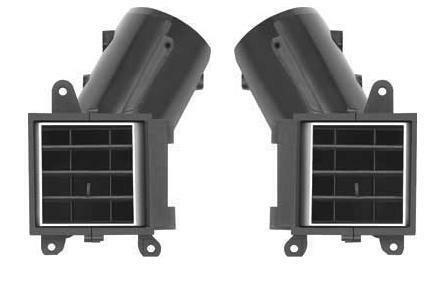 Reapir your controls!